Effective constructive criticism helps build productive relationships. 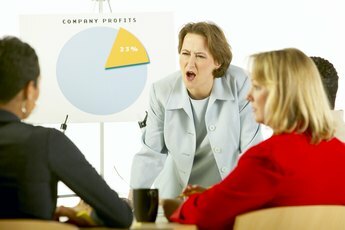 If you’ve ever worked on a business team, you know that most employees have opinions. Managing constructive criticism wisely enables a team leader to maximize everyone’s contribution in the workplace. People who fail to accept constructive criticism ignore critical information that can enable their growth and development. Neglecting to set ground rules for giving and receiving feedback on a team can lead to hard feelings, ongoing conflict and reduced productivity. Limit your input to one issue at a time when you need to give feedback. Allow yourself some time to formulate what you will say to your co-worker before you provide details on her performance. Offer advice in an objective manner. Avoid asserting your authority or interjecting your personal opinions. Although you may be tempted to point out another person's mistakes to advance your own career, the savvy employee recognizes that it’s usually better to cooperate and support others. Recognize that your work is being analyzed, not you personally, if you're the one receiving the constructive feedback. Don't take a critique of your work as a reflection of your long-term ability to succeed on the job. The goal of constructive contribution is to improve work. A collaborative environment promotes sharing and continuous improvement. Avoid feeling defensive by choosing to accept responsibility for your behavior and take action, if you can. You may focus necessarily on the negative aspects of feedback and feel attacked, but try to work together to solve any problems for the benefit of the team. If you get consistent feedback from multiple sources, you know you have something to work on going forward. Employees and employers alike need to document constructive criticism given and received. Employees should keep records of any feedback they think is unjustified. Written correspondence serves as history. For example, keep a diary of verbal exchanges and copies of emails or reports that depict the performance in a disparaging light. 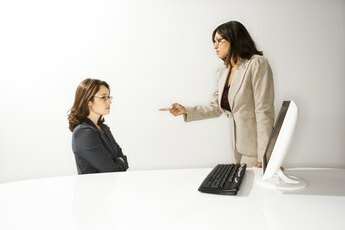 Neither an employee nor an employer should try to get back at an adversary in an unprofessional manner. Constructive criticism for team performance in the workplace enables employees to recognize they are not perfect. Past team conflict should not interfere with current project work. If necessary, set up a meeting to clear the air. Every person makes mistakes. To maximize team performance, encourage each person to assume accountability for their own work, double-check output and be sure they do the best work before submitting it. This avoids careless errors, silly mistakes and embarrassing problems. By creating an environment where everyone expects to receive feedback, a team leader establishes a workplace that minimizes overly critical comments and focuses on continuous improvement.